Live oaks dripping with Spanish moss. I don’t ned to provide a picture, right? Even if you’ve never been to California, to the desert, or to the South, you’ve seen movies, TV shows. Those images exist for you. Now: how about madronas? Yeah–thought not. Unless you’ve spent significant time in coastal Washington, Oregon or California north of the Bay. So let me remedy that. 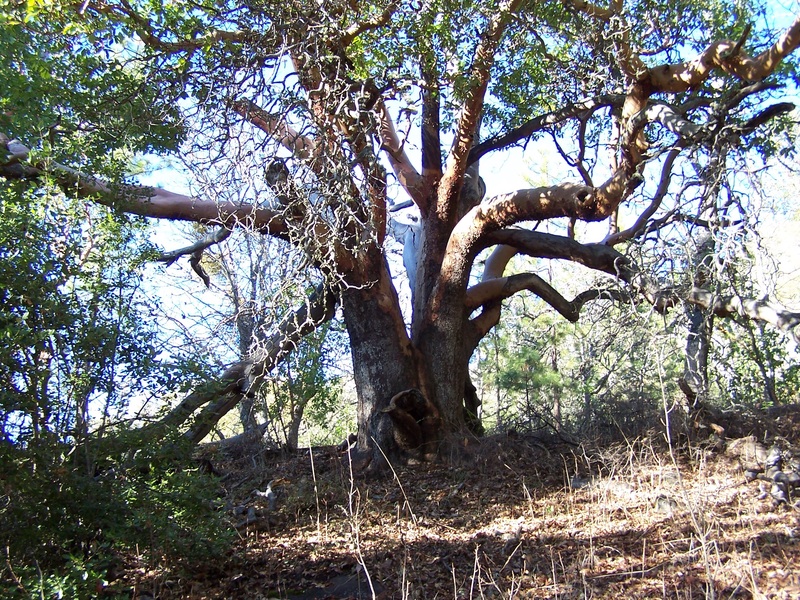 What’s so special about madronas? Where do I start? They’re deciduous, but they’re in no hurry to lose their leaves. Green all winter, they finally agree to drop their old leaves only when the new ones come to push them out in the spring. 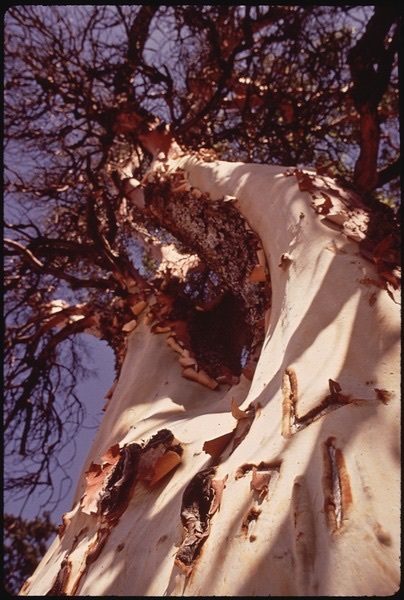 They have the COOLEST bark, smooth as human skin beneath the peeling outer layer, in the most beautiful shades of red, bronze, and green. I love to lay my cheek against it. Around Thanksgiving, they bust out bunches of brilliant red berries–early Christmas decorations. In spring, they bloom bunches of creamy white blossoms that look like little bells and smell like honey. Best of all, they grow in the wildest, most original loops and curves. …which is why, when I published my first book, I named my press Madrona Branch Press, in honor of that amazing, self-supporting branch. That’s ME, baby. That’s the beauty of the madrona. How about you, dear reader? Favorite tree? Other emblematic member of the plant kingdom? What does it for you? 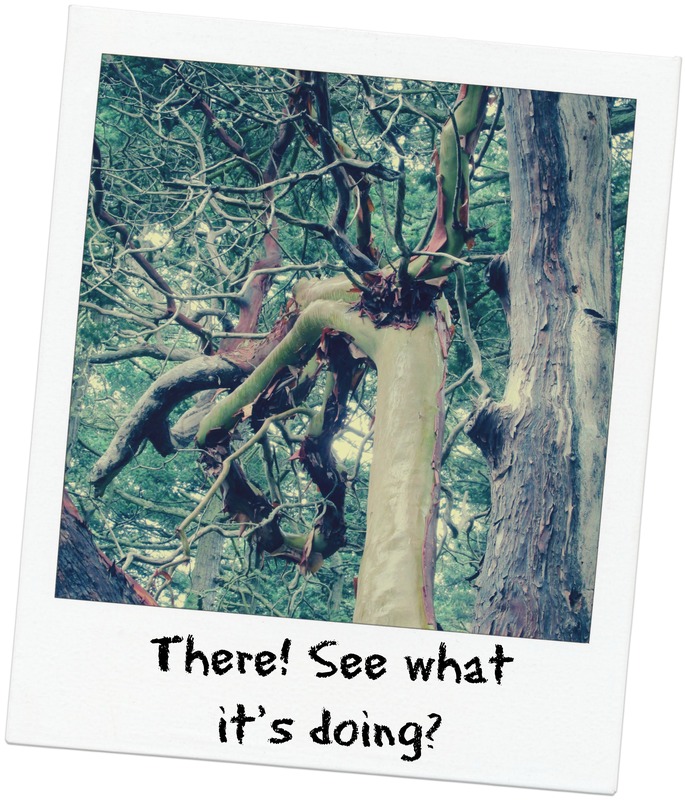 This entry was posted in Wing's Words and tagged California, madrona, Oregon, pacific northwest, road trip, trees redwoods, Washington by gretchenwing. Bookmark the permalink.